Neutrogena Hydro Boost Gel Cleansers Review | LIPS n BERRIES! These two blue gel cleansers from Neutrogena are a novelty. In the world of foamy, drying and squeaky clean cleansers, they are a breath of fresh air. Neutrogena's Hydro Boost range with 'Hyaluronic Acid' is amazing for dry skin. 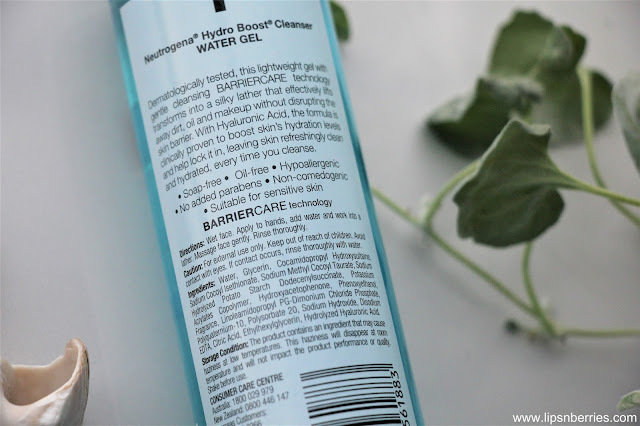 I've used a lot of products from this range but the Water Gel Cleanser just might be my number 1 pick. As ya'll know I have dry skin and every product I put on my face has to add something to it. I stay away from products that take moisture and good skin oils away. 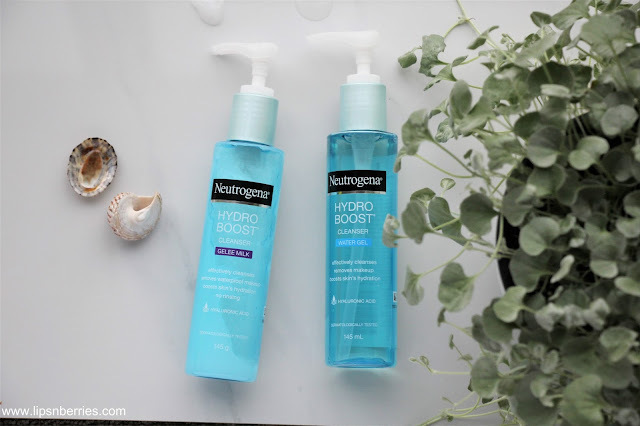 I was sent these two cleanser buddies from Neutrogena a wee while ago and have been using them religiously ever since. I have had no dry skin episode and my skin is as plump as ever. Fun fact! Why is it that for the past few weeks everyone I tell that I'm 30 years old is surprised. They say I don't look my age. Obviously that has me elated. I must be doing something right with my skincare game. Or is it the zeal for life in my eyes? I actually don't feel 30 at all. Weird? 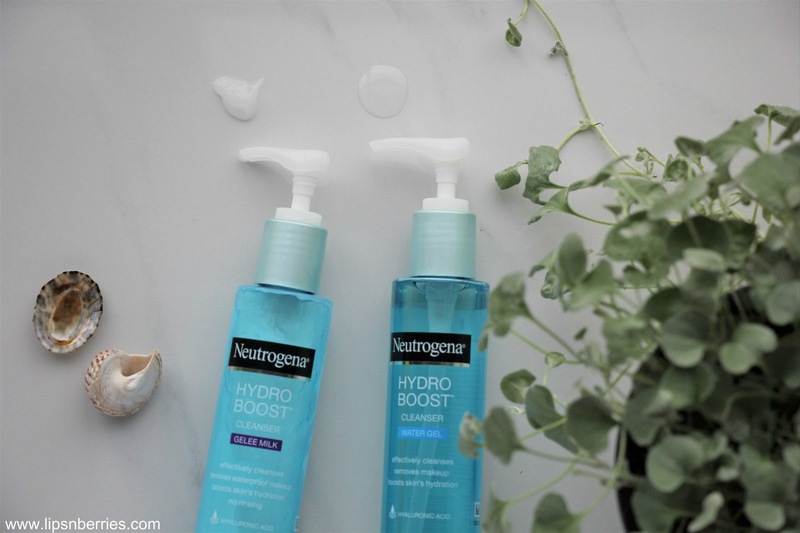 Neutrogena Gelee Milk Cleanser and Water Gel Cleanser are best of buddies. I have been using the Gelee Milk Cleanser for taking off my daily makeup and then following up with the Water Gel cleanser to wash off my face. They work a treat! I then follow this with the water gel cleanser which is amazing. It's foamy but gentle & leaves a moisture film on skin. The face looks very clean but is not dried out. Both these cleansers are oil-free, soap-free, non-comedogenic and suitable for sensitive skin. Both of them retail for $16.99 NZD and are available through pharmacies and grocery retailers NZ wide. 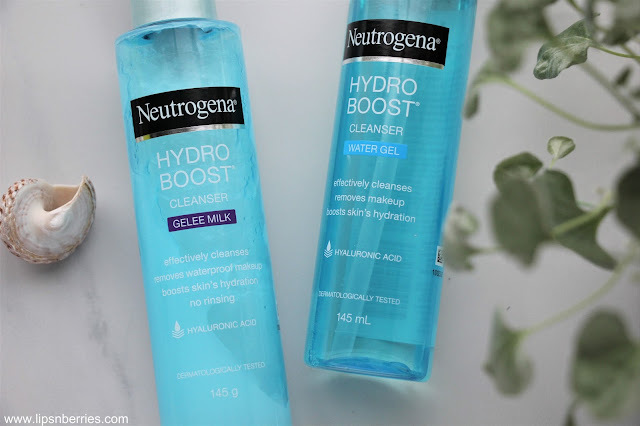 If it was one product I had to pick up from the current Neutrogena range, it'll be the water gel cleanser. It works for for all skin types (including sensitive!) & can be used as both morning & night cleanser. I'm a fan! I still use a good makeup remover before it to take off most of the gunk. Who am I kidding? I'm lazy and Neutrogena's Night Calming Makeup Remover Cleansing Towelettes are my best friend. I feel like the gelee milk was a nice concept but the product on its own wasn't very effective. It definitely needs to be paired with a gel cleanser. However, if you don't use much makeup, it's not too bad either, specially for sensitive or very dry skin. I highly recommend checking out the Hydro Boost Water Gel cleanser. It's my new must have. 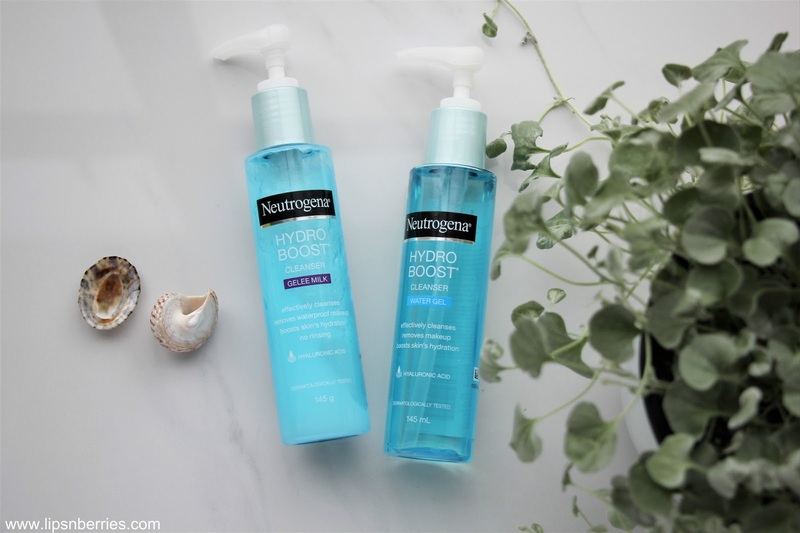 Now, we have a tie between Neutrogena Micellar Gel to Foam Cleanser and Water gel cleanser. So hard to pick one. I love both.